The STN1170 Bluetooth OBDII Adapters are out of stock indefinitely. 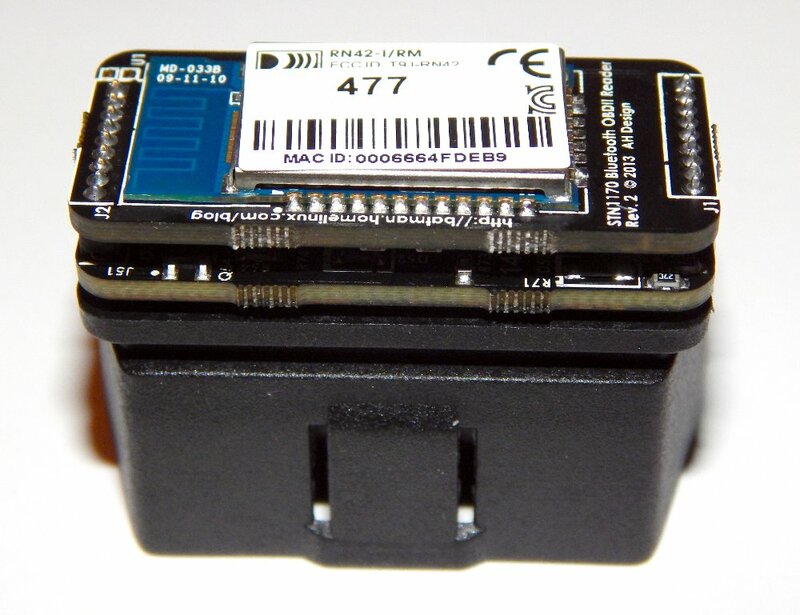 You can see comments for the project and downloaded Altium Designer sources here: STN1170 Bluetooth OBDII Adapter Page. The PCBs are black this time, and unfortunately don’t have red silkscreen as I was hoping due to the supplier’s lack of red ink apparently. Oh well. Hello. Very cool product. I’m having trouble locating the schematics and source for this project. Is that still available for this project? Still open source? At the moment, the open source design is for the STN1110 based readers, and you can find that on the STN1110 page. Scroll down to where ordering would take place, and there are links for the top board and bottom board designs. I am a software developer and playing with bluetooth low energy, OBD2 adapters with a couple of my friends recently. I am based out of Hong Kong and New Delhi, was wondering if you were also interested in “smart” cars.